In Texas, 34 percent of the state's adult population has earned an associate degree or higher — but only 17 percent of Latino adults have such a degree. A new report from a national nonprofit group discusses why that gap needs to close. In Texas, which has the country’s second-largest Latino population, experts say that closing the gap in college graduation rates between Latinos and Anglos will be critical to ensuring that the state has an educated workforce in the next 20 years. A report released today by Excelencia in Education, a national nonprofit that promotes policies aimed at improving Latino achievement in higher education, shows that approximately 17 percent of Latino adults in Texas have an associate degree or higher, compared with 34 percent of all Texas adults. 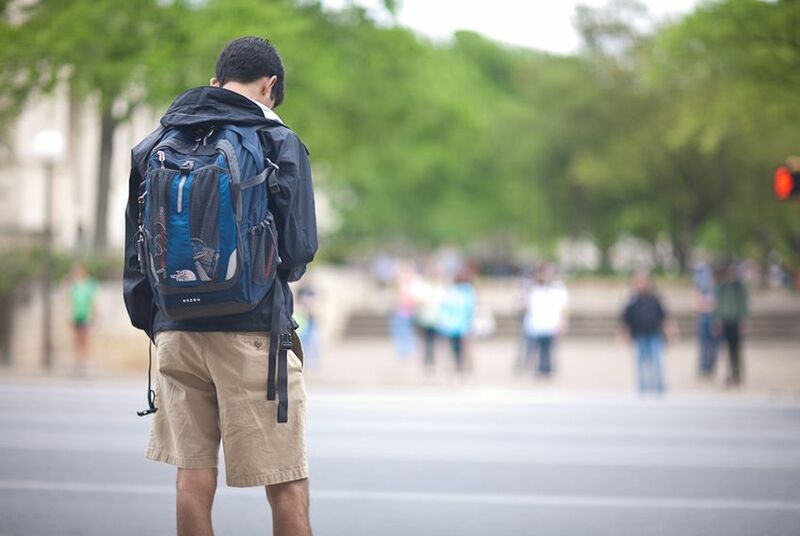 The report notes that the graduation rate for Latino college students in Texas is about 10 percentage points lower than that of white students. The Obama administration, hoping that the U.S. will regain the world’s top ranking in college degree attainment, has set a goal of having 51 percent of Americans hold a college degree by 2020. If that rate is to be reached, approximately 5.5 million Latinos will need to earn degrees in the next eight years, according to Excelencia in Education's report. Texas’ youthful Latino population, which accounts for 38 percent of all Texans, is only projected to grow. The median age for Latino Texans is 27, compared with 35 for non-Hispanic whites. The trends are similar across the country. Nationwide, Latinos make up about 16 percent of the general population, and 22 percent of the K-12 population. By 2020, they are projected to represent about 20 percent of the U.S. population ages 16-84. In 2011, only 21 percent of Latinos nationwide held an associate degree or higher, compared with 44 percent of whites, 57 percent of Asians and 30 percent of blacks. Thus, officials argue, increasing the rate of Latinos with college degrees will be key to increasing overall college degree attainment in the U.S. According to the report released today, some Texas universities may already be engaging in promising practices. Dual-enrollment programs like the one offered by the University of Texas at Brownsville and Texas Southmost College, for example, may provide solutions for increasing Latino enrollment, retention and graduation rates. The program allows South Texas high school students to receive simultaneous credit for high school and college-level classes, at a cost of only $5 per course to the student. The courses are taught at the student’s high school campus, often by the high school’s teachers. Excelencia found that the one-year retention rate for former dual-enrollment students at UTB was 73 percent, compared with a 59 percent retention rate for students who did not participate in the dual-enrollment program. Excelencia in Education's report also commended the University of Texas at El Paso's Model Institutions for Excellence program, which aims to increase the number of minority students who receive degrees in science, technology, mathematics and engineering. In 2004-05, 374 out of 440 such degrees were awarded to Latino students at UTEP. According to Jones, the most substantial national population growth that is expected between now and 2025 will be driven by non-Anglo young people, the vast majority of whom will be Latino.